The graph shows the similarity of political beliefs of Facebook users in the United States as of August 2016. 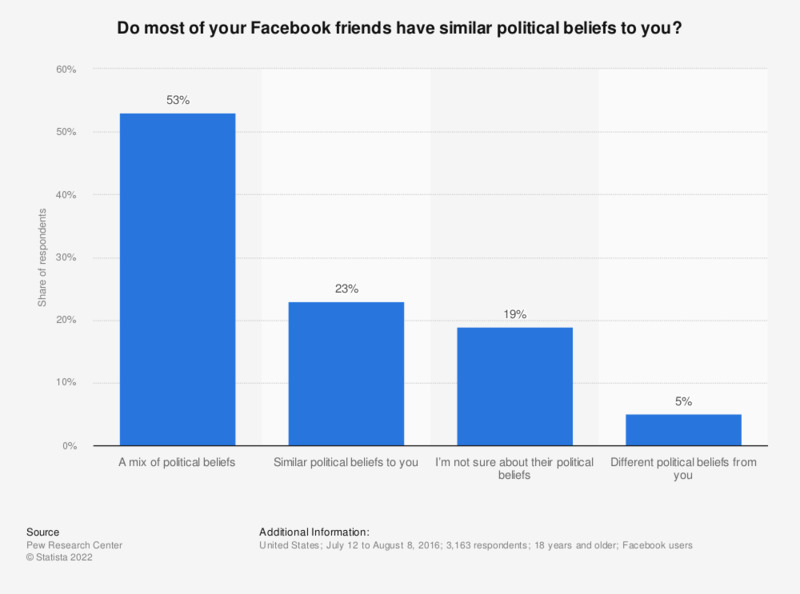 During the survey period, 23 percent of respondents stated that their Facebook friends had similar political beliefs to them, while five percent stated that the political beliefs of their friends were different. Question: Do most of your Facebook friends have similar political beliefs to you?